Game of Thrones, with its Oreos and Shake Shack menu, isn’t the only pop culture favorite that is diving into the food and beverage industry. Coca-Cola has debuted groundbreaking Star Wars bottle designs that are orb-shaped. The redesigns are made in time for Disney’s latest Star Wars theme park, ‘Galaxy’s Edge’, so visitors can steep themselves fully in the experience with special edition drinks. 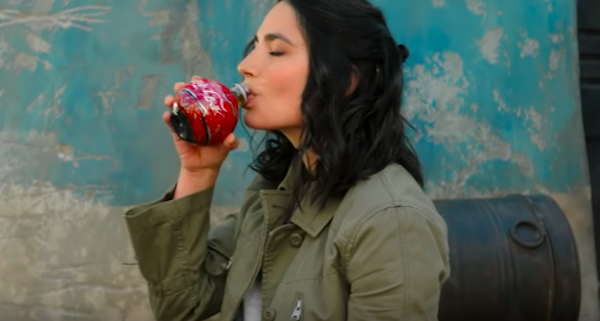 In addition to its original recipe, Coca-Cola has overhauled the packaging of Diet Coke, and Sprite to appear droid-shaped, while Dasani flaunts a special label. Coca-Cola’s iconic typeface has also been updated to accommodate ‘Aurebesh’, the language of the galaxy far, far away. With these intriguing Coca-Cola overhauls, there might be a spike in Star Wars fans, young and old, visiting Disneyland this year. You can buy them at ‘Galaxy’s Edge’ when it opens on 31 May at Disneyland Park and 29 August at Disney’s Hollywood Studios, Walt Disney World.